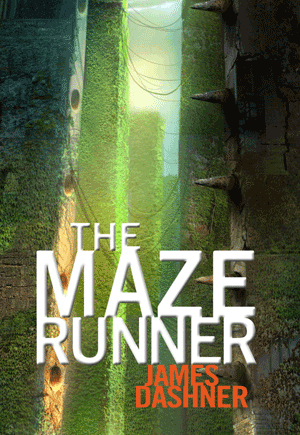 “The Maze Runner,” series by James Dashner is a post apocalyptic novel series. 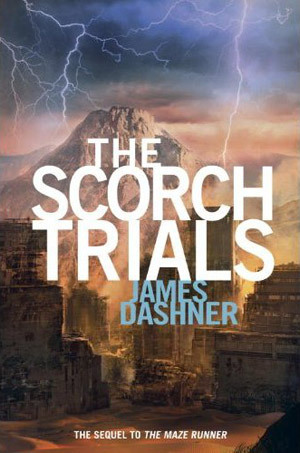 The first book, The Maze Runner, has been made into a movie recently. This keeps on the track of dystopian novels that have gained popularity since “Hunger Games,” came out. What this series does differently is that it is extremely action packed, there are very few moments where the main characters aren’t running from someone or trying to save themselves. It also keeps us in suspense for the entire series. You get small tidbits of information, and believe that by the end you will have all the answers you desire to fully appreciate the choices made and the course of the story, but unfortunately you get few answers and are left hanging at the very end of the series. The series starts with Thomas showing up in the maze. He is brought in like many of the others through a metal box. He has no memories of his life before the maze. He is in this place, and has to survive with a number of other boys; all who are determined to find a way out of the maze and back home. What we learn is that the maze is only the first trial on the list. They are all being used as experiments to help find a cure for what is called, the Flare, a diseases released after sun flares devastated much of the planet. Thomas and his friends spend the series trying to survive in order to get to some type of safe life back. Dashner knows how to write very plotted out action and suspense. I kept turning page after page because I had to see what was going to happen next. I had to make sure everyone got out of the current situation or that we might get some type of valuable answer. Someone was always on the edge of danger. Every chapter ended with a moment where you were holding your breath. I went through each book always waiting for that moment when we were going to lose someone else. Not only was I always afraid of losing someone, I was also eager to get answers. What was WICKED’s ultimate goal? What did the trials have to do with finding a cure and blueprint? How would a blueprint cure the disease? What did Thomas do for WICKED before the trials? Why did he work with them? Why did he go into the trials without his memories? Did he know everything? Or only a part of the whole situation? What was his true relationship with Aris and Teresa? So many questions and I was disappointed because I never got any answers to those questions, at least none that satisfied me. The end just left me hanging and confused. The actual physical ending was even a question in and of itself and made me scratch my head wondering what was the point? I am a reader who loves to have questions through out the novel that keep me wondering. I am perfectly fine wondering about something until the last page but I expect the last few pages to give me enough answers. Not all questions will be answered but I want most of them to be. Unfortuneatly this series gave few if any answers. Dashner started off with two very strong characters. Thomas was lost without his memories but he was courageous and determined to do what he could to save everyone. He was caring and he was strong. Then the next two books never built on his strength in the first book. I felt like never knowing his true past made it very hard for him to grow. He was so determined to not remember that he became single minded. He wanted to save his friends and get away from WICKED and that was it. Though we kept being told that he had some part in starting the whole ordeal. I really wanted to see Thomas have this crisis of consciousness moment. He did not have to think what he did in the past was right. He could have seen it with new eyes now that he survived both trials and could have changed his opinion. But without his memories he was just purely hating WICKED because of very little information that he had. I wanted to see Thomas have to figure out what to do with his past and present since they seemed so vastly different. Teresa was the same way. She was the outsider in the maze, being the only girl and the reason that the whole place started falling apart. But she never gave up on getting out and she formed a connection with Thomas. A connection we know they had before the whole thing started. But then after they escaped that whole thing crumbled. We barely saw her in the other two books. They never had a real talk about their pasts, even after Teresa got her memories back. She drifted back and forth so much that I lost interest in her. It would have been great to see these two stand together to overcome their pasts and rescue everyone. They knew what happened and they were the only who could be able to really relate to one another and understand what they did and why. I would have loved to see them play off each other and keep each other going. Instead of having Brenda randomly show up and sort of take that role. But again she had a significant past that we never got to truly understand. I was left wanting more from everyone. Dashner knows how to write suspense and action very well. If you want a nail-biting novel series that keeps you wondering after every page this one is for you. Unfortunately I wanted more answers then I got, and got less character development then I usually like. 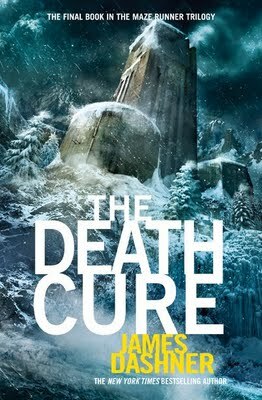 Posted on October 1, 2014, in Book Reviews, science fiction, Thriller and tagged apocalypse, book, Book Review, Death Cure, dystopia novel, James Dashner, Maze Runner, novel, Scorch Trials. Bookmark the permalink. 2 Comments. Frustrating is the perfect word for it. Agreed! My thoughts exactly. The last book was so frustrating! !